BioBeat’s 2017 summit, ‘Re-Shaping Biotech Partnering’, was a popular and successful event that attracted 200 life science professionals from different areas of the sector. 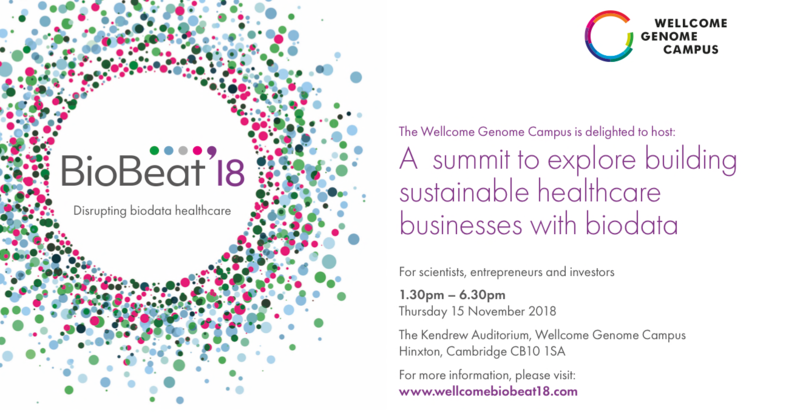 BioStrata was proud to partner with BioBeat to support this, and is now excited to introduce the upcoming 2018 summit—which promises to be another high-profile and unmissable event (find out more about BioBeat18 here). Here are some of the highlights of last year’s summit and hints on what to expect from the event this year. BioBeat18 focuses on another big topic: how the convergence of data and biology raises new opportunities for disrupting the healthcare industry. BioBeat’s 2017 summit brought together a diverse audience of industry leaders and rising stars in the life science sector. The conference emphasised the value of translational and collaborative science, taking place in a multidisciplinary environment designed to encourage partnerships and networking. A talk from Dr Lucy Collinson, Head of Electron Microscopy at the Crick, provided a neat example of how partnership can enhance innovation. In this case, the challenge was to develop advanced imaging technology to localise a crucial but rare molecular event in space and time—for example, to identify a cell being infected with a particular intracellular pathogen. Although microscopy companies had previously developed correlative imaging systems to try to achieve this, these had suffered from practical drawbacks, such as difficulties in sample preparation. To overcome these challenges, Dr Collinson set up a partnership between biotech companies and a multidisciplinary team of biologists, physicists and neuroscientists, who combined their expertise to design and develop a novel integrated light and electron microscope. Their approach was successful, and another collaborative project is already underway. Given the clear benefits of increasing collaborative thinking in this sector, the key question is how we can achieve this. Strategies such as increasing partnerships between academic institutions and biotechnology companies, using life science marketing and PR to help spread the word about new scientific discoveries, and encouraging careers permeability between academia and industry are all viable options. BioBeat’s 2017 summit encouraged collaboration between experts at the forefront of innovation in the life sciences sector. We’re already looking forward to this year’s summit, which promises to kindle new ideas in a similarly dynamic and inspiring environment! This year’s summit will explore opportunities to disrupt the healthcare industry and construct sustainable business models. Relevant to academics, entrepreneurs and investors alike, this promises to be an inspirational event in which thought leaders share their expertise and discuss the changing future of bioscience. Spaces and press passes are limited for the BioBeat18 summit. For more information, visit the BioBeat website.